Absolutely stunning! Call your friends and invite them over as you won't find another home that offers more than this one when it comes to entertaining. 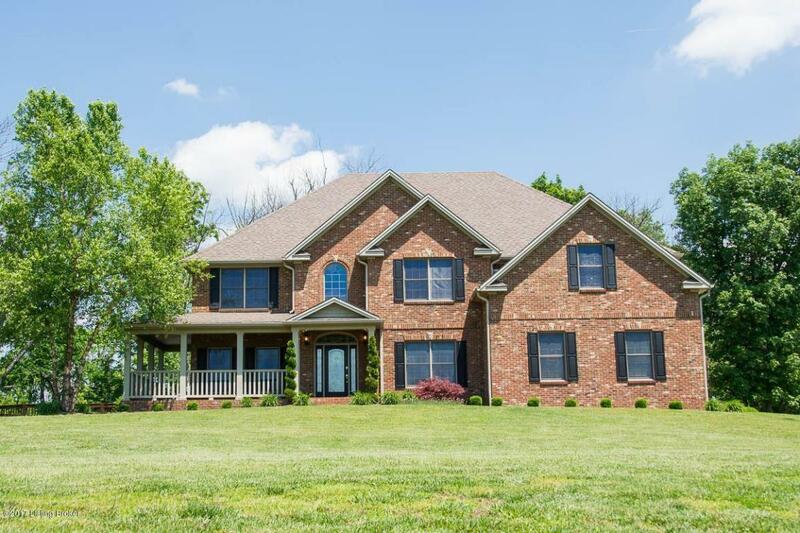 Located only minutes from the Parkway is this amazing custom built two story brick home on 6.88 acres that backs up to a farm giving you much privacy and tranquility. You will love the spacious floor plan that features a two-story foyer, a formal dining and living area along with a huge kitchen boasting custom cabinets, kitchen bar, pantry and ceramic tile. Grab your favorite book and get cozy by the fireplace in the family room that adjoins the kitchen or stroll onto the deck to enjoy the view. Meal time is a favorite as the eating area has a bay window to overlook the woods and back lawn.